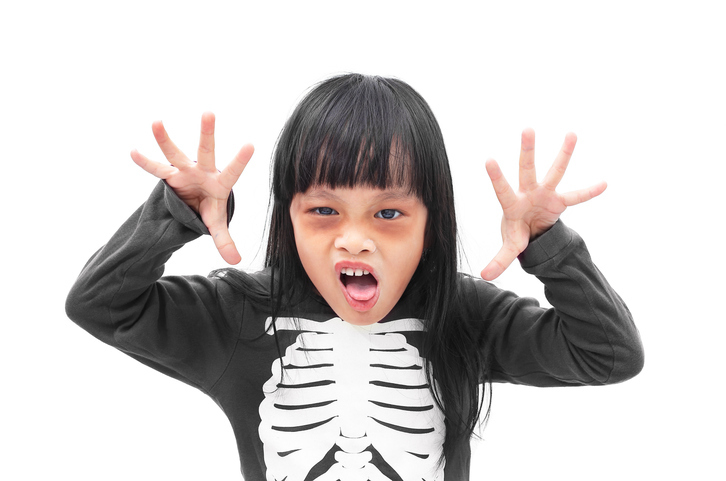 In the spirit of Halloween, perform this walk to get your body warmed up for trick-or-treating or a ghoulish night out. You’ll give your core, glutes and thighs some action, too. Begin in a standing position with feet hip-width apart. Your arms should be down at your sides. Step forward with your right foot, and then quickly (and carefully) swing your left leg up so that it is almost parallel to the ground. Simultaneously, bring your arms up as if you were trying to reach your toes. Put your left leg down so your return to the start position. Next swing out with your right foot, again bringing it parallel to the ground, and reach your arms out towards your feet. No space? Don’t worry; you can easily perform this exercise in place. Make it a game and chase your kids, grandkids, or nieces/nephews around.